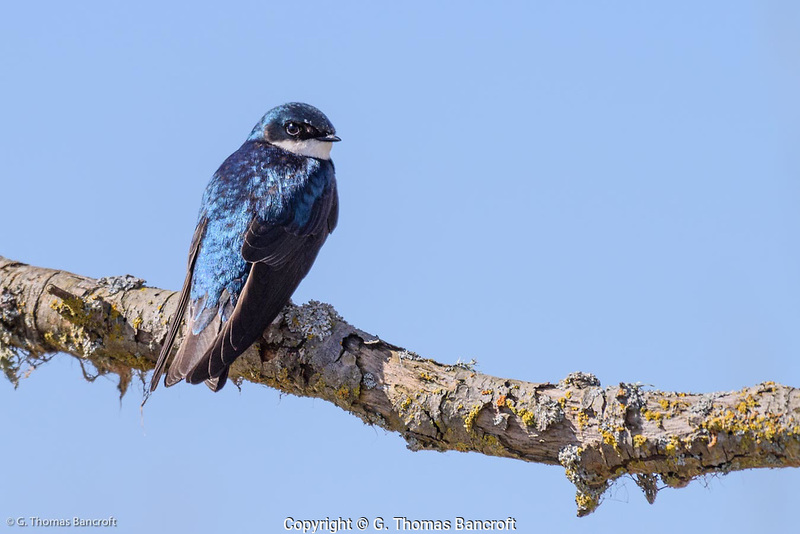 Tree swallows have blue-green back plumage and a black eye mask. Their undersides are white. Note how long the primaries are on this bird, extending to beyond the tail when folded.